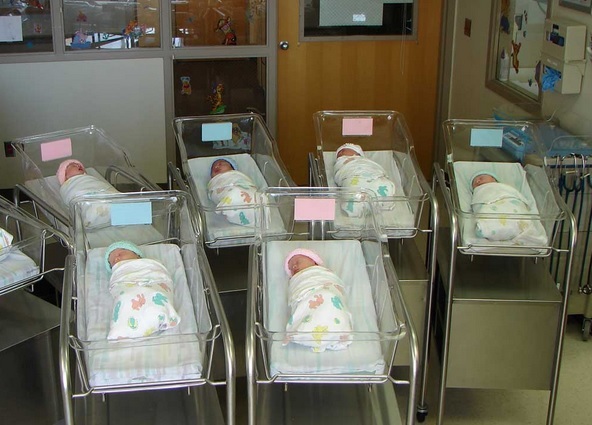 Israel: As the cease-fire began on Tuesday, a record of babies were born at the Soroka hospital in Beer-Sheva. 68 babies in total were born yesterday alone, leaving people amazed and drawing parallels to the number of victims who have died throughout this war, to date – an astounding 68. One of the mothers said that the babies were just waiting for the cease-fire to start. The Dove that saved our soldiers from death. An incredible true story !!! during an all-night military operation of an elite unit, the unit was told to take shelter in an abandoned building under commander orders. They approached a certain house before dawn to avoid being discovered. As they watched the house through binoculars before entering they noticed a pigeon standing stationary in midair above the door. Thinking this to be a strange sight (how could a white pigeon stand still in the air without having to flap its wings? ), they looked more carefully through their binoculars when they noticed that the pigeon was standing on a thin transparent fishing line. They decided to shoot toward the dove when the fishing wire snapped and the entire house (which was wired) exploded and turned to dust. It turned out that the terrorists hung the transparent wire so that when the soldiers enter the home, loaded with explosives, they would rip the fishing line and blow up. I’ve seen many examples of miracles myself amongst Jewish and Gentile believers in UK and Israel. Sadly I can’t really talk about it on the internet. 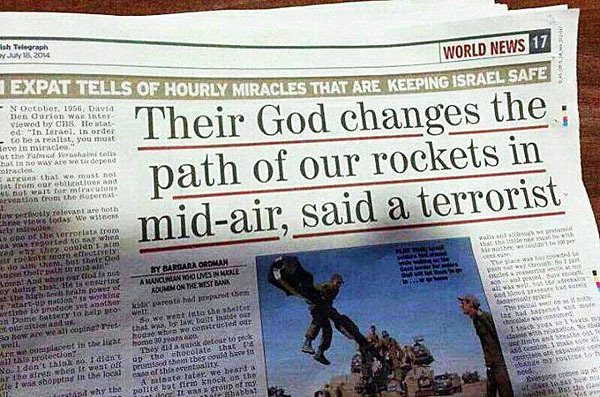 Can you please give me written permission to use the photo regarding the “God changes path of our rockets” miracle. sure – can’t remember where I got them from. They are not my work.